Mar. 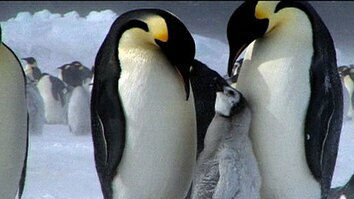 08, 2018 - A penguin mega-colony has been discovered off the western coast of Antarctica. 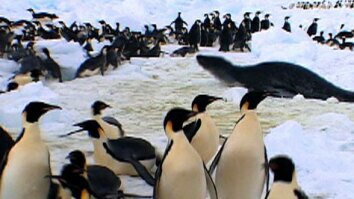 The Danger Islands are home to more than 1.5 million Adélie penguins that were hiding in plain sight. Satellite images and an on-the-ground survey revealed the colonies’ immense sizes. And the massive amounts of guano, or feces, that the penguins left behind helped satellites measure their population. The findings are helping inform plans for conserving Antarctica’s waters, some of which have seen alarming declines of Adélie penguins. Read "Hidden Penguin Mega-Colonies Discovered in Antarctica." A penguin mega-colony has been discovered off the western coast of Antarctica. 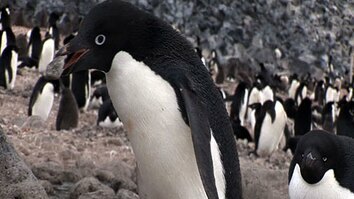 The Danger Islands are home to more than 1.5 million Adélie penguins that were hiding in plain sight. Satellite images and an on-the-ground survey revealed the colonies’ immense sizes. And the massive amounts of guano, or feces, that the penguins left behind helped satellites measure their population. The findings are helping inform plans for conserving Antarctica’s waters, some of which have seen alarming declines of Adélie penguins. Did You Know We Can See Penguin Poop From Space? Adélie Penguin Numbers Have Marched Upward—But Should We Be Happy? Would You Go to Mars If You Could Never Come Back to Earth? How Would You Envision a Space Colony?